This week on the Stay Talking Ish podcast show it was a little crazier than normal as it’s been a while since all four of us have been together. 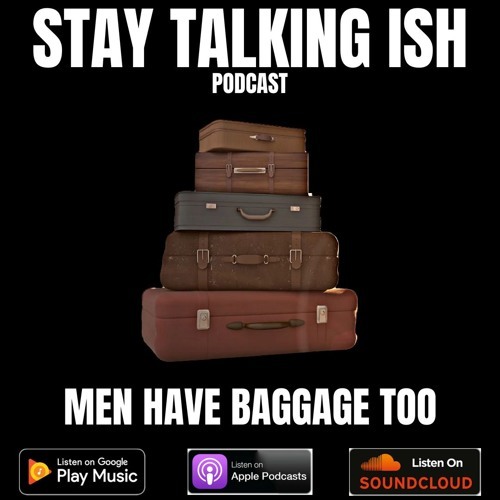 We talk about a few things including men bringing baggage into new relationships, what men expect from women in relationships and the role of women in the black family structure. Also, TK starts to feel some type of way as the guys point out that’s she’s dated a few suckas back in the day. Of course The BrownGirl is the sensible one when we talk about going to therapy even though for some reason she can’t pronounce the word spaghetti. Throughout the show Gus has to defend his mixing of cranberry juice with his liquor. And if you listen closely you can hear the progression of Barxdale’s intoxication. Feel free to like, comment, share and/or subscribe.